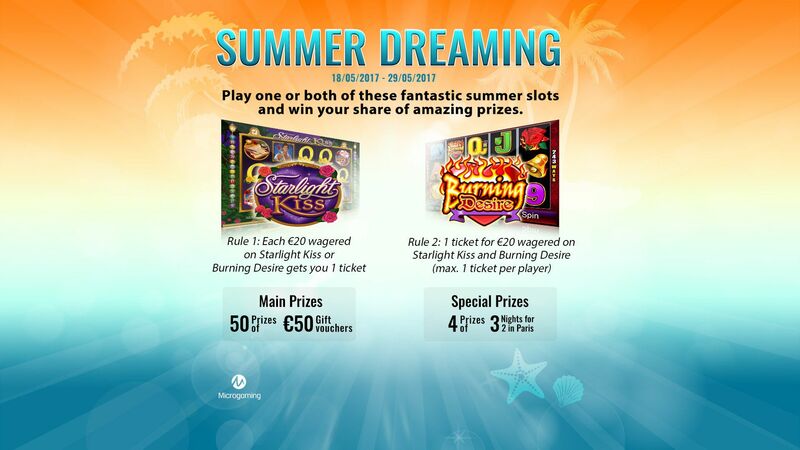 The Summer Dreaming Promotion will start on Thursday 18th May 2017 and will run until midnight GMT+1 on Monday 29th May 2017 (the Promotional Period). Every €20 you wager in real money on Starlight Kiss or Burning Desire during the Promotional Period will earn you1 ticket for the Main Draw. Multiple tickets can be earned for the Main Draw. To earn 1 ticket for the Special Draw, you must wager €20 in real money on Starlight Kiss and €20 in real money on Burning Desire during the Promotional Period. A maximum of 1 ticket per player is permitted for the Special Draw. The Main Draw Prize is a €50 Gift Voucher. There are 50 prizes in total. The Special Draw Prize is a 3-night trip for two to Paris, plus hotel, flights and spending money. There are 4 prizes in total. The cost of the trip to Paris includes return flights from London to Paris inclusive of hotel for up to 3 nights plus €500 in spending money. The hotels and flights are subject to availability and the inbound flight home must be completed before 31st December 2017. The total cost of the package is limited to €1,500. The prize draws will take place on 30th May, 2017. Winners will be drawn at random and will be notified within a timely manner. Winners will be required to provide their first name, initial letter of their surname, country of residence and confirmation that they accept their prize in order to be eligible to receive their reward. Winners may be required to participate in publicity related to the prize draw, which may include the publication of their first name, initial letter of their surname and their country of residence, without any additional compensation. All prizes are non-exchangeable and non-transferable, with the exception of the trip to Paris. The winner of the trip to Paris has the option to claim a cash substitute of €1,000 instead of the trip. It is the responsibility of you, the player, to ensure that it is legal for you to play Starlight Kiss and Burning Desire and to participate in the Summer Dreaming Promotion in whichever jurisdiction you are gambling. Any player found in breach of these terms and conditions may be disqualified from the Summer Dreaming Promotion or refused a prize. 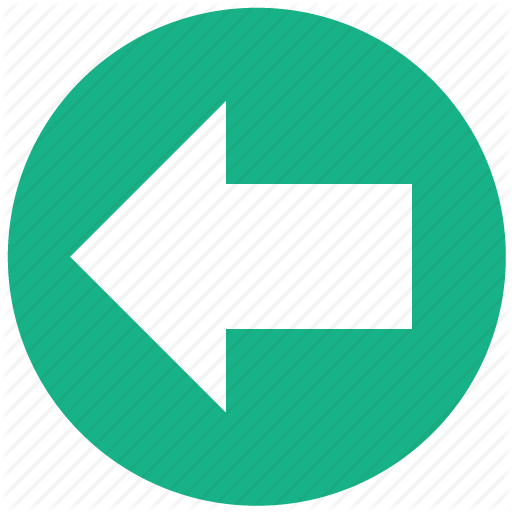 LunaCasino and Microgaming reserve the right at any time to hold, void, cancel, suspend or modify the Summer Dreaming Promotion with or without prior notice where it may be deemed necessary to do so. These terms and conditions relate only to the Summer Dreaming Promotion.